It’s a little hard to do the database work and manage to write a review every day, but I’m sure I’ll figure out a good schedule for it eventually. And hopefully more user and guest reviews will allow me to devote more time to the database. But it certainly seems that reviews are what people want – the response in terms of traffic has been pretty substantial. Or maybe I’m just doing a good job sharing the pretty pictures. That’s it for now. I’ll put some time into a review and some marvel work later tonight. 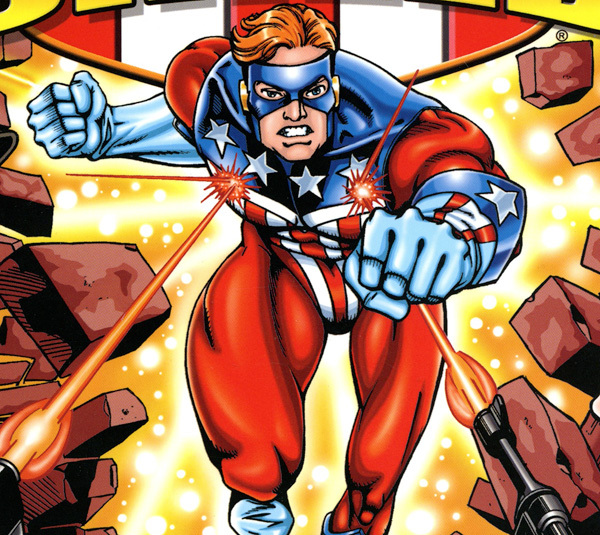 I’d be really interested to see a review of some of those books at some point, especially the JSA All Stars one. I know what’s in it in terms of actual issue numbers, but as for the actual content and quality…well, like you said, there’s just not a lot of info out there for some of this stuff. Yeah, it’s definitely on my long term goal list to have a rundown and some scans from at least all the golden age stuff. I don’t know how such a resources doesn’t exist already! Well I have to say I’m really interested in both your chronology and your reviews. But what I love about your reviews is that not only are they nice. For those who don’t want to spoil too much and just read the score ou give a nice sentence or two on why said score was given and most of all you have those “essential to continuity” section (which is key for me) and the “what to read before” “after” which is equally awesome. I’ve been trying to work up a review structure that would fit what I want to see when I look for reviews. For the most part, I try to avoid spoiling anything for myself (which is hard these days) so I put in that little skip to the bottom link and spoiler warnings. But then after I’ve read something, I also like to find reviews of it and see what other people are talking about and what they enjoyed. So I like to do detailed analysis too. Plus, I know some people might skip a book but want to know a little about it, so hopefully the reviews are helpful in a historical way too! PS. it doesn’t look like you’ve registered yet, but if you do register you can add books on the timeline to your collection and it should automatically sort them into a suggested reading order when you look at your profile. that might be helpful to you too! Yeah you are right to make the review meaty. I agree with you, before I’ve read a book I usually just read the verdict and maybe the last paragraph of the review. But once I have read the book I like to read the full review to see if the reviewer and I agree which helps trusts his recommendations in the future. Exactly! Always glad to see that others get what I’m going for.